This article was contributed by Larissa Izaguirre of the Grenville Baker Boys & Girls Club. Earlier this year, I was part of a group of Keystoners who joined with Global Poverty Project to advocate for the end of world hunger. I did this as part of a Keystone project in the build up to the Global Citizen Festival. When I first heard about the Global Citizen Festival would be featuring Beyoncé this past September, I immediately looked online to see how I could get tickets. It was then I realized that this was more than just a concert. The Global Citizen Festival is a free ticketed event, but in order to get tickets you have to win them through taking action to end extreme poverty. You must complete an action journey—or a series of actions—in order to enter the ticket draw. For the 2015 Global Citizen Festival, the actions ranged from signing a petition, to asking leaders to fund healthcare systems in developing countries, to calling a world leader on the phone. The Festival sounded like something I wanted to get involved in, and so did some of the other people in my Keystone Group. So to begin our journey our Keystone group reached out to the Global Poverty Project, located in New York City. Global Poverty Project runs the Global Citizen Festival and we wanted to see what we could do as a Keystone group to help contribute to their mission. Our planning and outreach paid off. Working with Global Poverty we got a chance to visit our local Congressmen, Steve Israel, to ask him to sponsor the Global Food Security Act with Judith Rowland from the Global Poverty Project. This bill proposes a solution to fight world hunger. 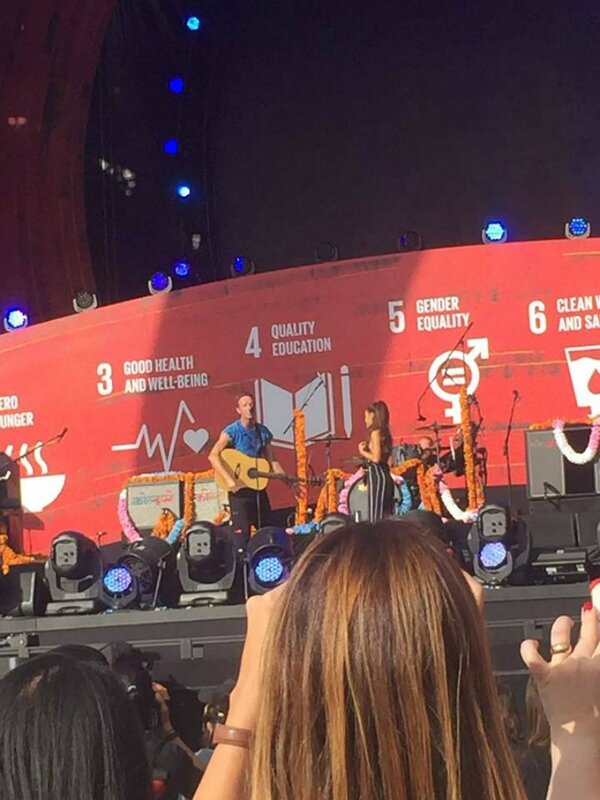 Because of our efforts to raise awareness and our collaboration with members of the Global Poverty Project, we were asked to volunteer at the Global Citizen Festival and got a chance to enjoy the concert! The Global Citizen Festival took place in Central Park on September 26th. The 2015 Festival’s overarching goal was to advocate for the Global Goals that the United Nations was passing to replace the expired Millennium Development Goals. The Global Goals will guide international development for the next 15 years. At the Festival, there were dozens of speakers and artists showing their support for the goals as well as world leaders making commitments in response to the actions taken by those in the crowd. Attending this festival was an unforgettable experience; not only did we have the opportunity to attend an amazing concert but in addition, we secured commitments on a wide range of issues and raised awareness of the problems still facing the world. For example, at the concert we raised awareness about the amount of girls not receiving an adequate education worldwide. 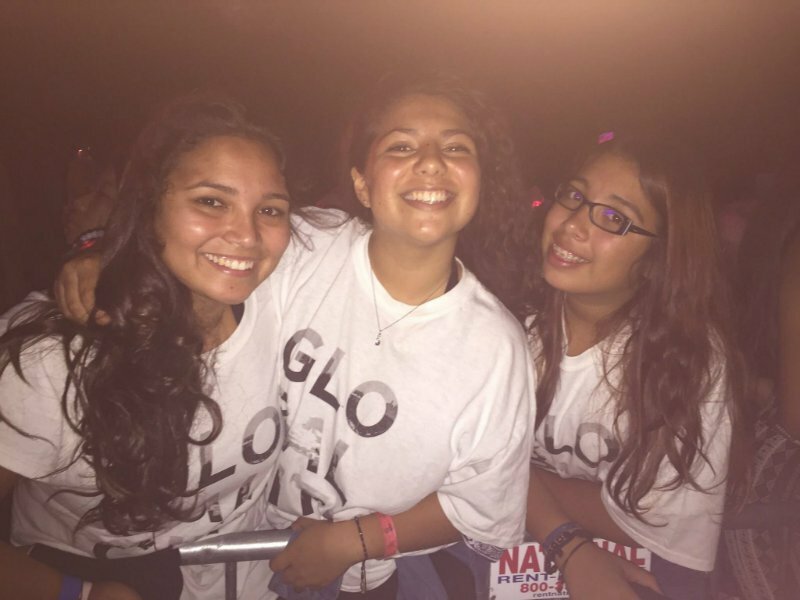 We spread the word to thousands of people at the concert and beyond by posting pictures using the hashtag #62MillionGirls. First Lady Michelle Obama attended the concert and she spoke about and shared the hashtag herself, so it felt great to have the First Lady spreading your message. This experience made me reflect on how I take my education for granted. Now I realize how fortunate I am and I am grateful to be able to attend school every day. Thank you to the Global Poverty Project, Congressmen Israel, and those who take part in the fight to end global poverty! This article also appeared on the The Club’s website on January 29th, 2016. To access this, please go here.